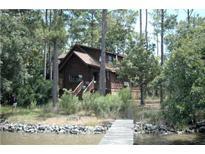 Below you can view all the homes for sale in the Yonges Island subdivision located in Meggett South Carolina. Listings in Yonges Island are updated daily from data we receive from the Charleston multiple listing service. To learn more about any of these homes or to receive custom notifications when a new property is listed for sale in Yonges Island, give us a call at 843-306-2224. Footage Of Spacious Rooms Each With A View...Lovely Bright Open Kitchen And Dining With Beautiful Views Also Featuring 2 Pantries..And Custom Oak Cabinetsmust See To Appreciate....Easy To Show &easy Drive To 526... MLS#19008723. Carolina Real Estate Connection, Llc. If you seek a quiet and private sanctuary filled with flora and fauna of the coast, look no further MLS#18025370. Carriage Properties Llc. New Low Country Leadership charter minutes away! MLS#17019689. Ralph Edwards & Assoc.